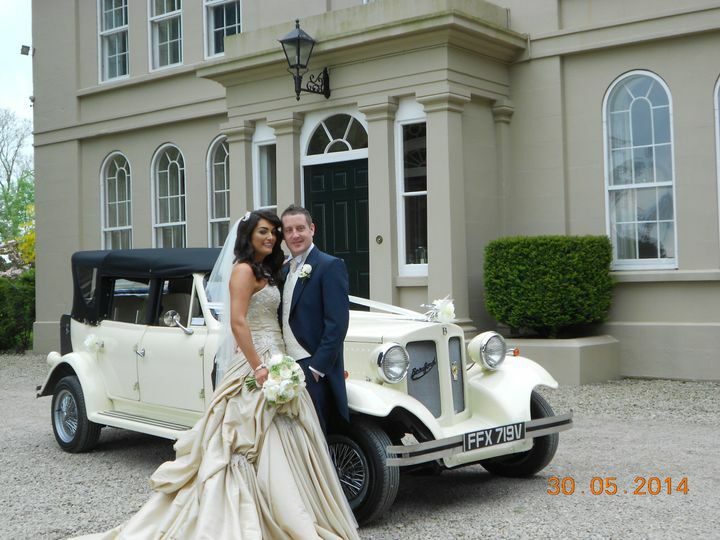 Occasions Classic Car Hire ARE YOU A SUPPLIER? 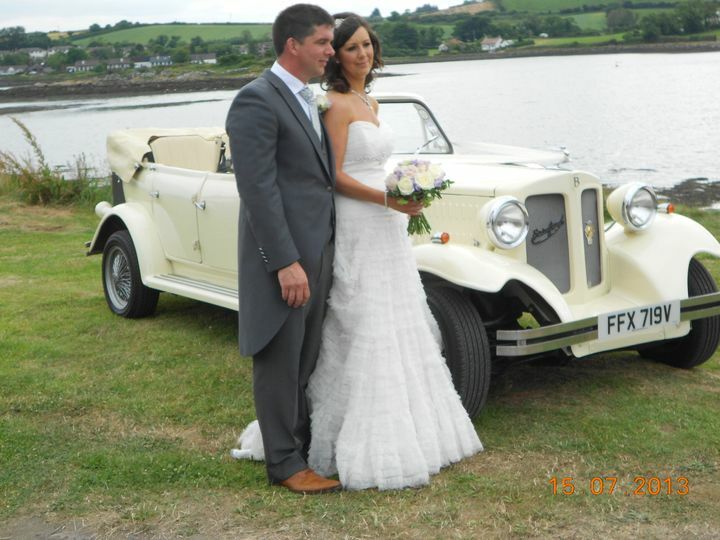 Occasions Classic Car Hire provides dependable service to couples seeking wedding transportation. Based in Banbridge the company serves areas throughout Northern Ireland and beyond. 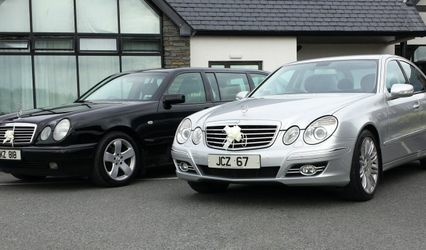 The company has an impressive fleet that can suit any wedding style. 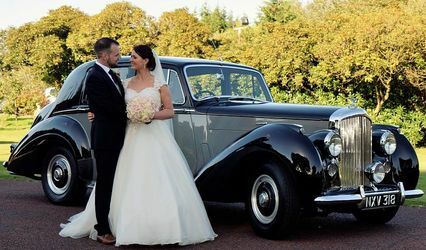 Occasions Classic Car Hire prides itself on its attentiveness toward couples on their special day, making them an ideal selection. 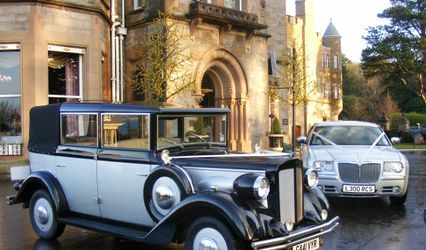 Occasions Classic Car Hire's diverse fleet is one to be admired. 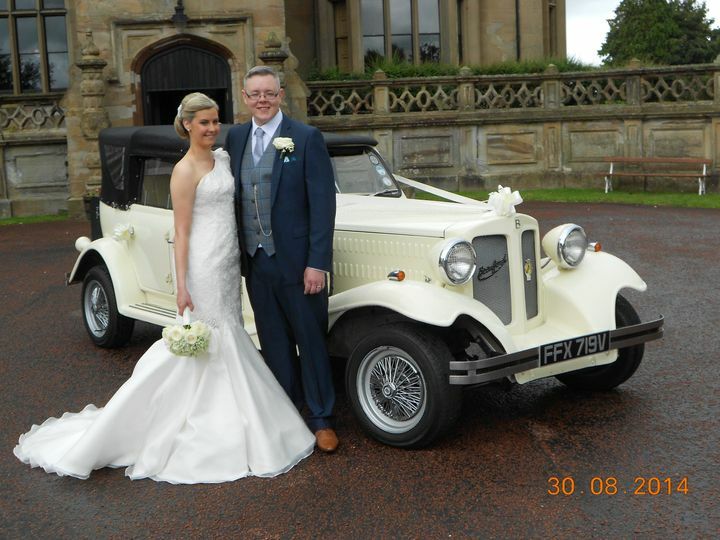 The company's ivory 1930s style Beauford convertible offers a touch of vintage elegance, with its cream interior and red carpets, and their sleek black Mercedes E-Class is a luxurious modern choice. Couples can make their selection based on their wedding needs. Both cars come with an experienced chauffeur, devoted to the riders' comfort and satisfaction. 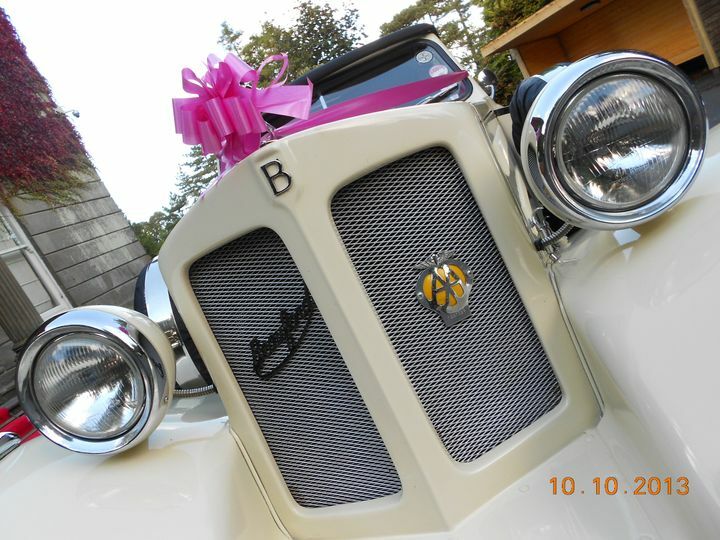 The vehicles will be decorated with ribbons and bows, to mark the occasion. With this attentive and professional service, couples can toast to their nuptials during the memorable ride from the ceremony to the reception with a complimentary bottle of champagne.